Alexandrina Victoria – Queen of Great Britain and Ireland, and Empress of India- has been commonly portrayed as a sombre matriarch dressed in her widow’s black. Here, however in collected extracts from the journals she kept from the age of thirteen- and which by the time of her death ran to 122 volumes- we glimpse another more emotional side to this formidable monarch. Queen Victoria has always been a well-loved monarch, and she has been the subject of many books over the years. Since the online release of collections of her letters and the recent ITV show about her life, it seems that more and more people have been drawn into reading about Queen Victoria and especially about her private life. This new book by Karen Dolby was released on the 20th September and sees the author step further back in time than her previous books which have looked at the likes of Queen Elizabeth II and The Duke of Edinburgh. 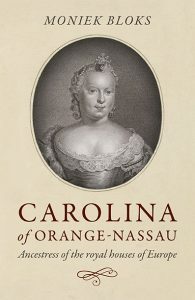 Although the author has tackled historical topics in past books, her usual focus is lifestyle books, so I would say that this book is more suited to those with an interest in popular history rather than the ardent historian who may be looking for a little more academic to sink their teeth into. The book is made up of extracts of Victoria’s letters to friends, family and advisors all carefully woven together by the author with context added in to bolster the letters when necessary. As thousands of Victoria’s letters were left behind, the author has selected a variety for use in the book and has then divided them up into topic areas such as ‘Queen and Empress’ and ‘Nearest and Dearest’. Through the book, we follow Victoria as she goes through life, from a young woman to falling in love with Albert and becoming a mother, to her later years as the matriarch of a large family scattered around Europe. The letters help us see her true feelings and her relationships with her family members and are lovely to read. 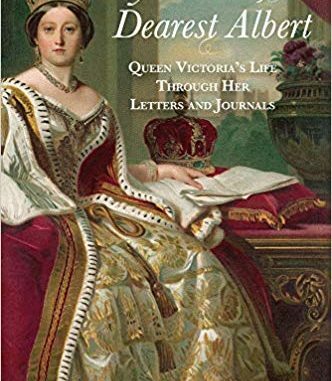 The title of the book ‘My Dearest, Dearest Albert’ gives an impression that the book will be about the love between Victoria and Albert and will focus on their letters. This is not the case, but their relationship is much discussed through letters between Victoria and other family members, namely her daughter Vicky and her uncle Leopold which are very open and frank. Many of the letters to Vicky include instructions for her married life in Prussia and show Victoria to be a doting but a sometimes overbearing mother. She could also be very critical, especially of her son and heir Bertie, whom she described as ‘a poor or still more idle intellect’. The book also includes a lot of information on the younger children which is not something which books on Victoria often focus on and is refreshing to read. Throughout the book, we can see how ‘the princes and princesses tended to rise and fall in their mother’s affections’, and Victoria’s favourite child frequently changed. We see the battle between the children who wished to leave home and live their own lives and their mother who wanted to cling to them once her husband had died. This book is well put together and very easy to read. The interesting and often humorous letters draw the reader in to keep reading, which means that the book is over rather quickly. If you are looking for a serious study of Queen Victoria’s reign and policies then this is not the right book on the topic, but if you wish to look deeper into her family life and her role as a wife and mother, then Karen Dolby’s book is a good place to start. The Kindle version of My Dearest Albert: Queen Victoria’s Life Through Her Letters And Journals is available in both the UK and the US while the hardcover is available in the UK and available for pre-order in the US.